BIG BIG thanks to the organisers who did such a wonderful job in a short space of time. 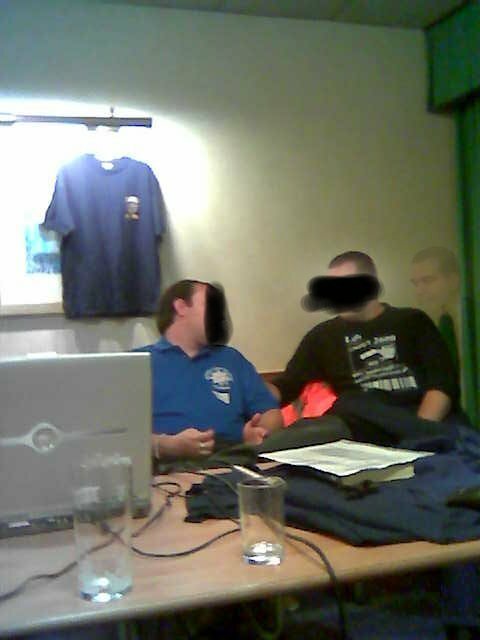 The standard reaction amongst the Brum regulars was "F*ck me! 5 years already, f*cking hell. 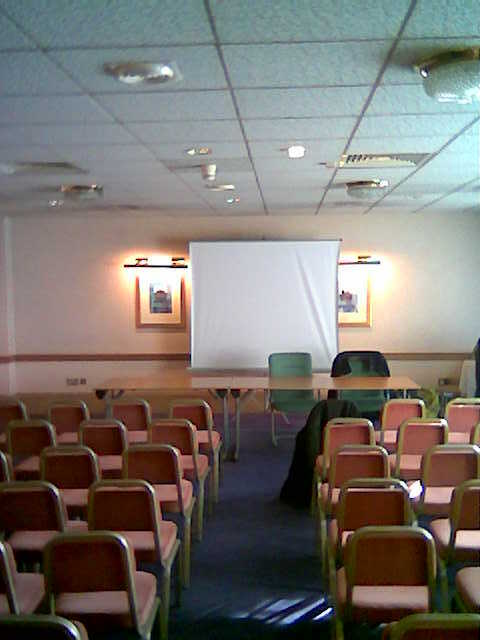 But non the less Brum2600 half a decade conference went ahead despite the attempts of the Brittania Hotel. For most attendees the day would have begun at the door of the conference suite, where once again they would have been meet by my smiling face (hmm!) demanding Â£5 in exchange for a sticker. The talks kicked off with Reloads intro explaining the change of venue and the days line up, this quickly segued into the first real talk of the day, "Things that go bump in the wire" By Zipser. The third in a series of talks revolving around radio and remote telemetry especially when applied to critical nation infrastructure. The most famous was covered here. A fantastically interesting topic (at least to me!) about remote telemetry systems and the efforts currently being introduced to help prevent "terrorists" from doing bad things. Of particular note was AGA12 standard of data transfer/encryption. A lunch break followed, allowing more drinks to be consumed along with a range of food types. Next up was Irvine Washington with his talk "Build Your Own Distributed Password Cracker (Stack the Hashes for Fun & Profit)" which outlined and demonstrated a method of distributing the work involved in brute forcing password cracking to a number of remote machines. 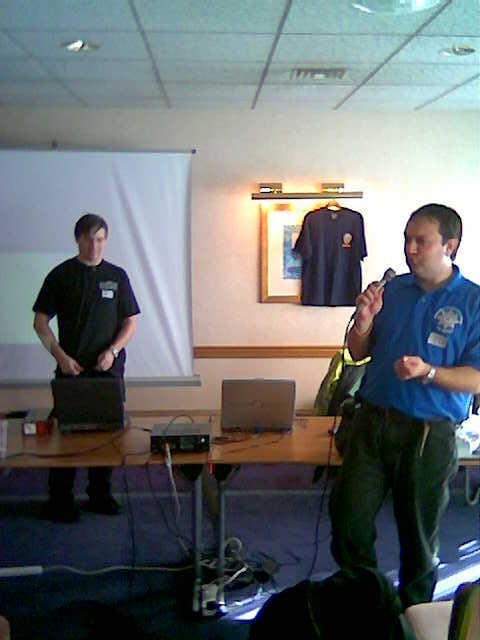 More info on the project - which is ongoing - may be found at Xyclops The talker in this case was not only very informative, he was also able to demonstrate the methods used on a mini network. Another break for some more beer lead on to "Home Automedia" by Aie. Bit of an interest mine this one so I was aware of most of the systems and techniques covered but still a very interesting talk on home automation and whole house audio/video and the possible consequences of widespread use of this tech. This would have been greatly enhanced had I actually remembered to bring my kit with me - sorry. 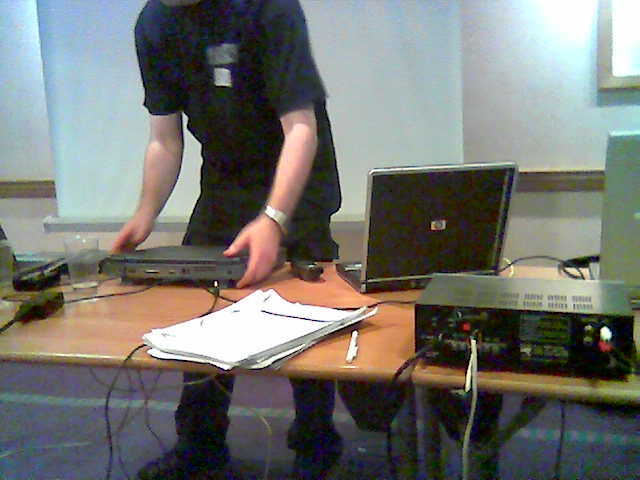 The next talk straight up was a bit more traditionally hax0rish. Phased coverage of "Introduction to Software Exploitation" covered a variety of techniques from SQL injection with PHP/MySQL to buffer overflows in C. All in all top notch hacker fare complete with demos. Another break, another pint. Then the penultimate talk of the day - "The spy in your pocket" by John Wignall. A fairly comprehensive rundown of "spy" techniques involving mobile phones and other cheap ebay friendly gadgets as well as jammers and DIY kit. With the beer well and truly kicking in, Reload finished off with "Low hanging fruit" a group discussion into blagging, faking and otherwise socially engineering people. A few very interesting stories where covered before it was all over for another year. Big thanks must go to the organisers, who did a fantastic job despite losing our venue at the last minute and to the Thistle hotel. "Since I've lost weigh its got bigger" -"No you can just see it better"
"You sure do look cute in them jeans boi"
"Ive got a police uniform....the truncheon is at home"
"You all know my first name....well one of them"